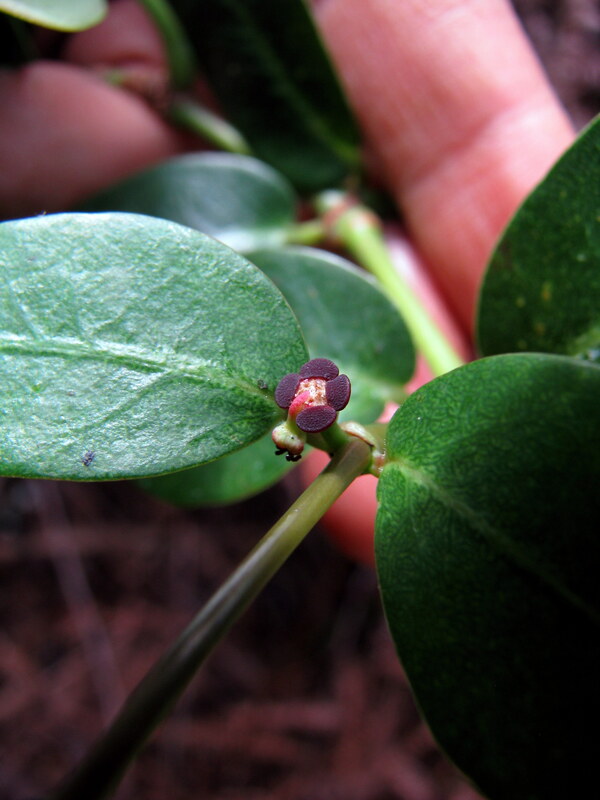 I had mentioned in my last article about plants that I had seen previously in Pupukea. Only after posting that did I realize that I never uploaded the other half of the Kaunala excursion. Which is a shame because there are some neat plants there that are easy to see. So, after about a 9 month interstitial, here are more plants from the Pupukea area. The plants that I’m describing are seen from the gravel road overlooking the Kaunala gulch. You can reach it from the Kaunala trail. A more straightforward approach would be to follow the Striker Road until you reach the gate on the makai side. Let’s start off with a Lama. 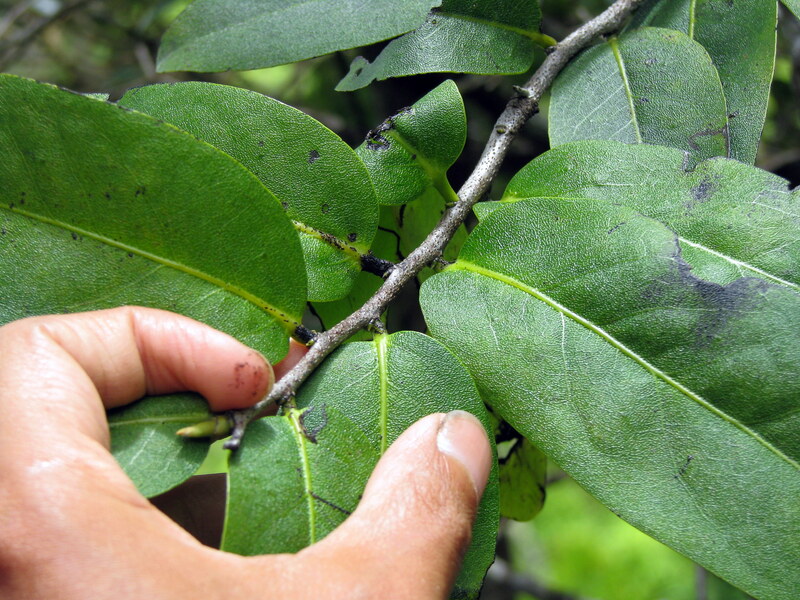 Here is another picture of that less common species (Diospyros hillebrandii). Found only on Kaua’i and O’ahu, this Lama is typically found in mesic forests of the older islands. While we’re at common genera with populations having conspicuously reticulated leaves, let’s take some time to look at this guy. The *Manual has this listed as Akia (Wikstroemia oahuensis). But Skottsberg called this Wikstroemia sellingii. 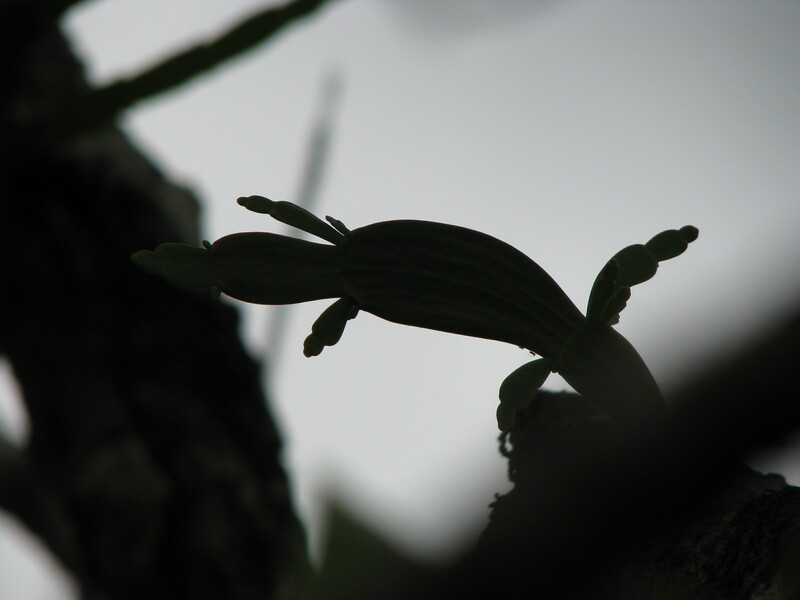 It differs from W. oahuensis by typically being a much larger plant and having this very distinctive leaf venation. We’ll see how the taxonomic cards play out. 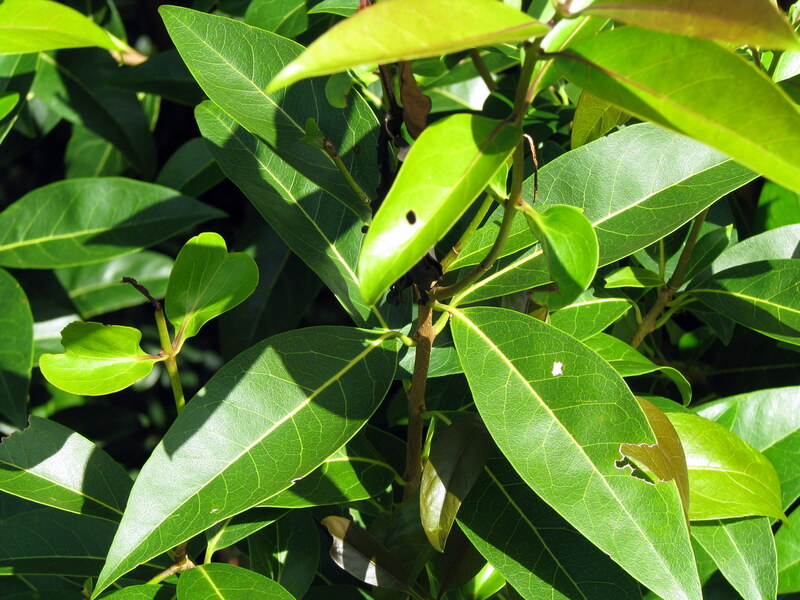 I showed the leaves of Ala’a (Pouteria sandwicensis) on the La’ie trail. Here are the flowers. More tiny flowers! This is an Akoko (Chamaesyce multiformis var. multiformis). As many of you know, what looks like the flower is actually a specialized involucre called a cyathia. The staminate flowers are the white parts in the middle, while the pistillate flower is the droopy thing hanging from the cyathia. (what a cool word!) 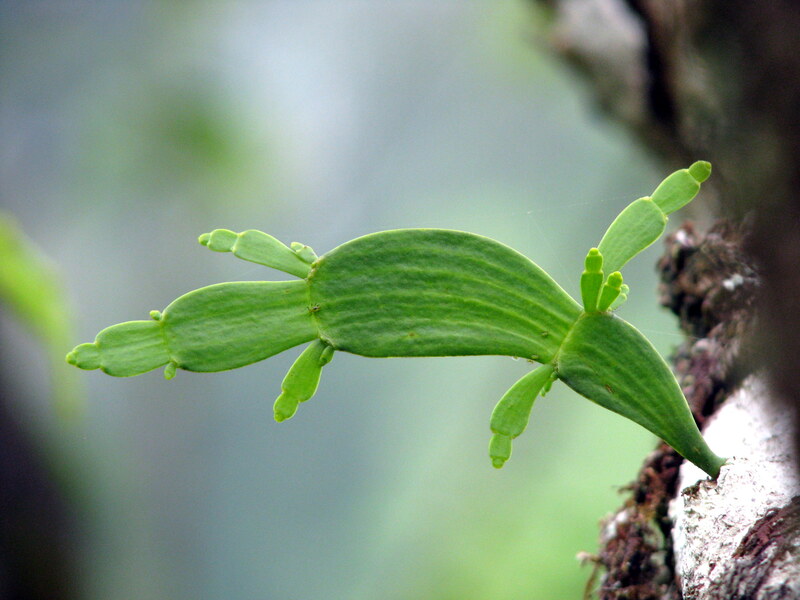 The “droopiness” is actually diagnostic for multiformis; on Chamaesyce celastroides, the gynophore is held upright. Shh! I'm a Hawaiian plant! I couldn’t resist this picture when we came across it. 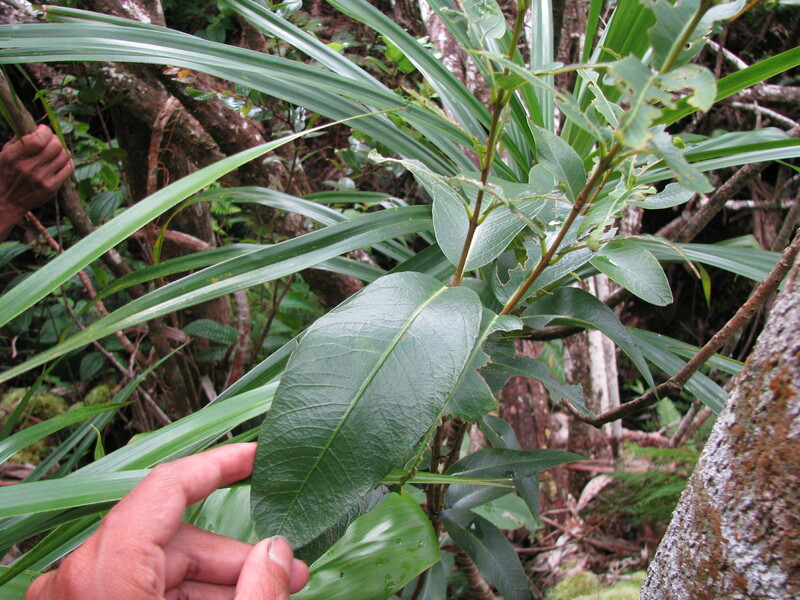 This common species of Hulumoa (Korthalsella complanata) is found on a number of native host trees. 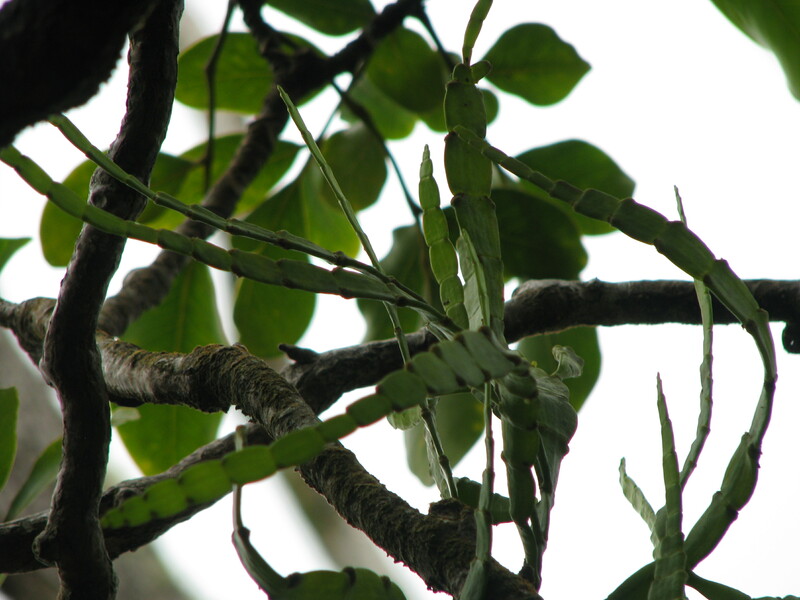 On Bobea spp. it is typically much bigger than when found on other trees. Although, it’s usually not this distinctive. This young individual is so… saurimorphic. (Yeah, I made that up). Although, why not? If we can have diapsids mimicking plants (see Leaf-tailed Gecko), why can’t we have plants mimicking diapsids? 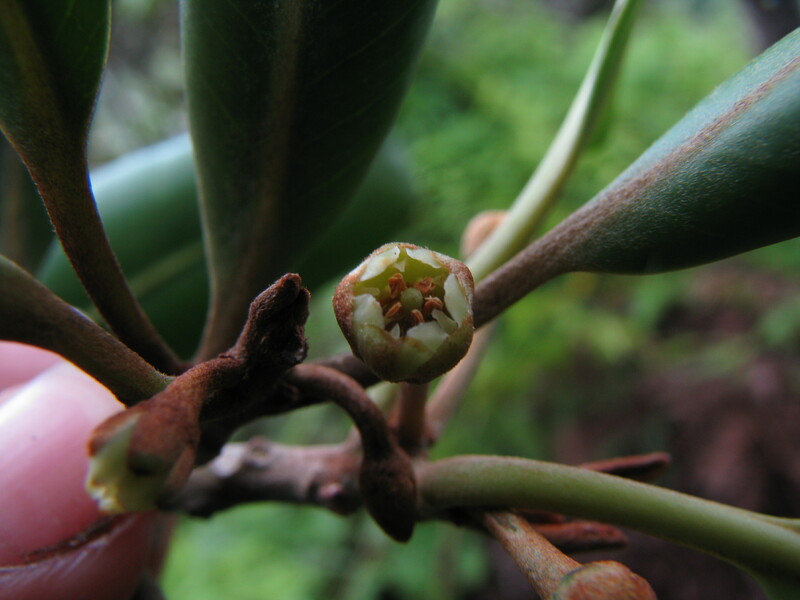 This entry was posted in Botany and tagged Hiking, Native Hawaiian Plants. Bookmark the permalink.